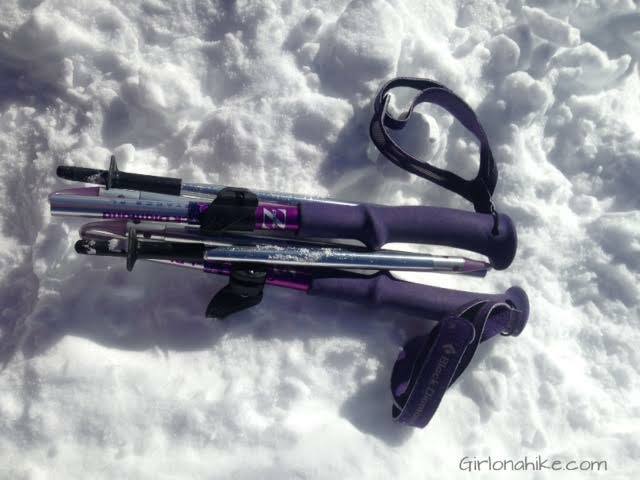 Prior to using these poles, I used the Leki Adjustable Poles with the lock system. I don't know why I used them, I never needed a different length! 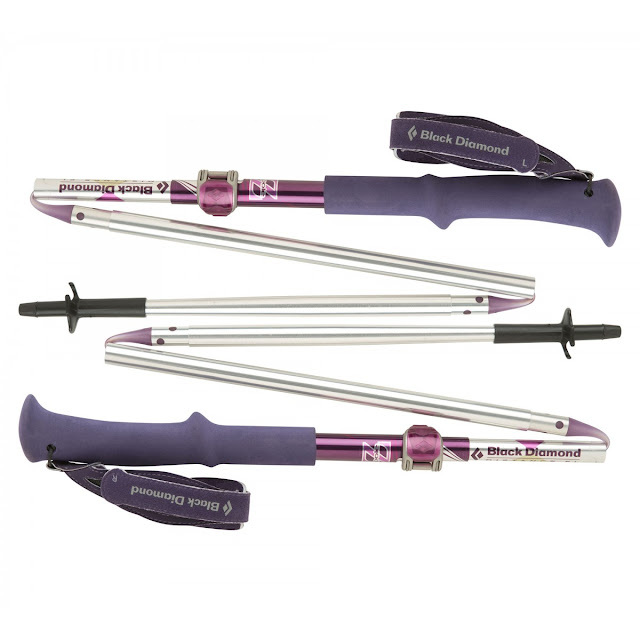 With the Black Diamond Poles I love that they can be super compacted yet always be the exact length I want them. This is what they look like when compacted. Black Diamond also provides a small bag to place them when, when not in use. Not sure what size to get? Click here. We have Black Diamond Fold-up poles, as well. We love them! I wanted this type pole because of how small they fold up and how light they are. We just always carry them in our packs and then they are available when we want them. We don't even notice they are there. I use mine almost all the time. I find they really save my legs. I found your blog a few months ago. I am a 54 year old woman who just discovered hiking this year. I read your review on these poles and sent for them via Amazon. I just got back from hiking Zions with my daughter. 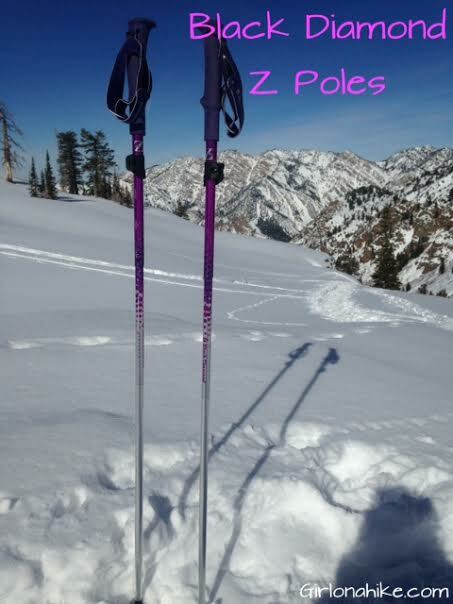 We used these poles and we were so glad we had them. They really saved my knees. My daughter has some disabilities and her poles really helped her make it on the more difficult hikes. Glad I found your blog. We are excited about hiking and your blog is a great resource for us. Thank you for posting all this great information.